The day after lapping the Mercedes-AMG GT R around the Algarve International Circuit near Portimao, Portugal, Mercedes flipped me the keys to the AMG GLC43 Coupe for an hour-plus tour around the hilly countryside. Nothing too extreme or unusual - just the sort of back roads you might end up on during a weekend getaway with the spouse or the whole family. Or by yourself because those damn holidays really took their toll. We won't judge. 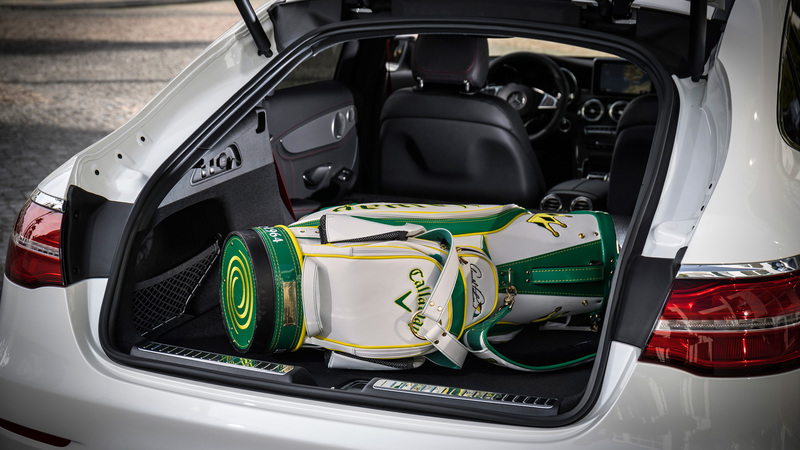 Now, the car for such a getaway would be the high-performance version of the fastback four-door "Coupe" version of a vehicle that is effectively the crossover SUV version of the Mercedes-Benz C-Class. There's just never a flowchart around when you need one. 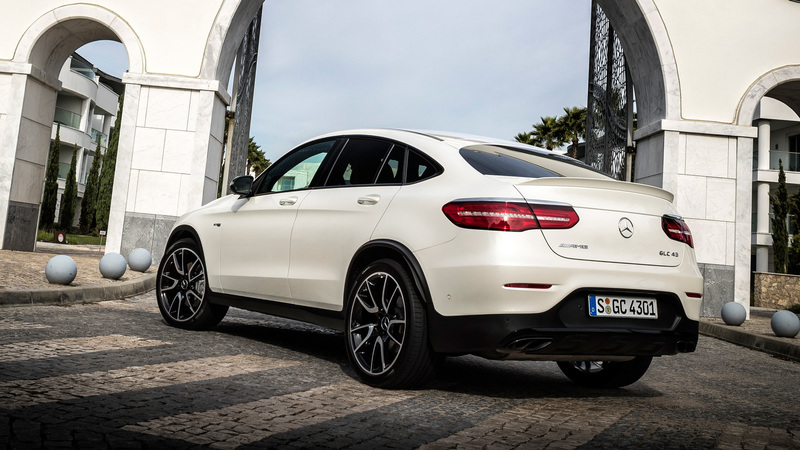 Yet, as I discovered, the 2017 Mercedes-AMG GLC43 Coupe isn't as nonsensical as its name and origins would indicate. The drive starts swimmingly. 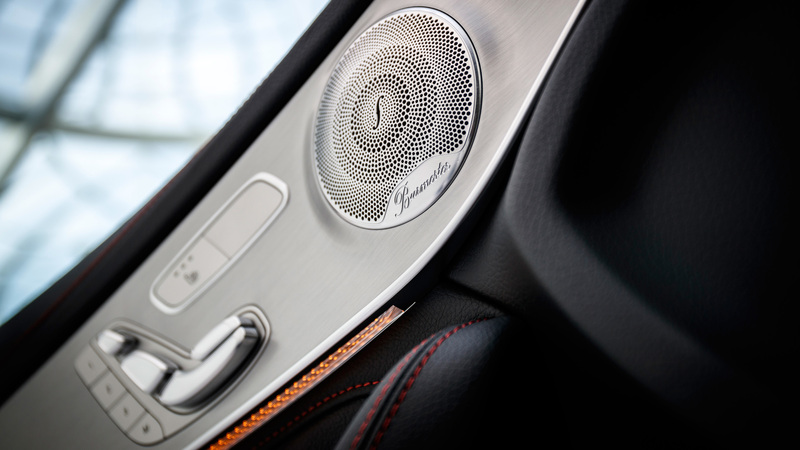 I push the start button and the turbo-six thrums to life along with the Burmester sound system that was left tuned to a Portuguese radio station. "In the Navy" starts blaring over 14 speakers. Must ... not ... fill ... review ... with ... Village People references. Though the mountain roads around Portimao are well paved, those around the hotel are not. There are cracks, potholes, and stretches that have been ripped up to be redone at some point in the future. 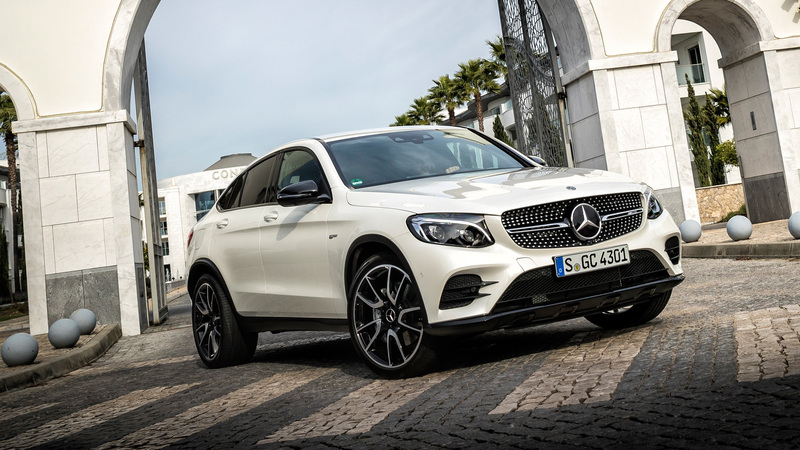 Such unpleasantness draws attention to the GLC43's standard Air Body Control adaptive suspension. 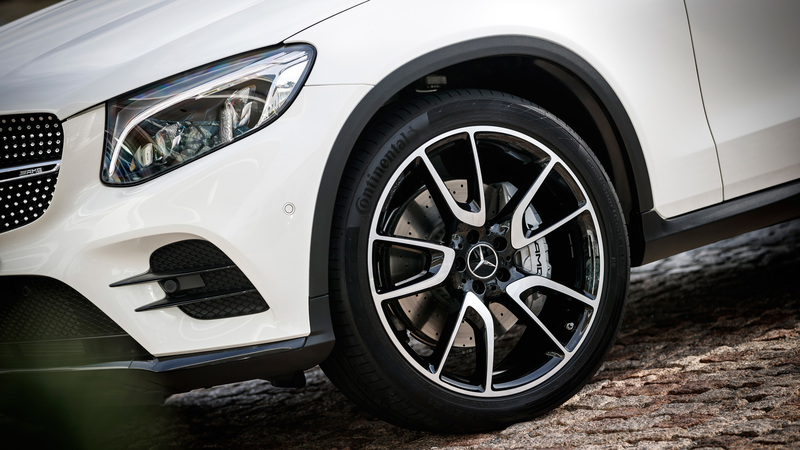 Compared to the GLC300's optional version, the GLC43's is retuned and modified with special steering knuckles and load-bearing joints to increase rigidity, and comes with lighter spring components to reduce unsprung mass. There is also some extra negative camber dialed in at all four corners. It's all done for the sake of agility (more on that later), but when left in Comfort mode, the suspension probably won't beat you up over potholes. There is certainly some extra impact harshness from the 20-inch wheels, but those air dampers do their typical magic of providing a comfortable ride despite all that go-fast gear. With the city behind me, I swing the GLC43 through a roundabout and get a brief taste of the body control ABC provides before charging onto the highway. 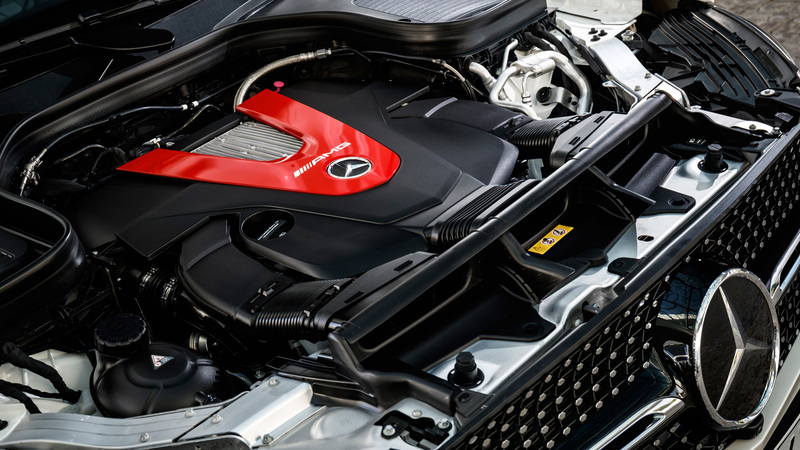 The 3.0-liter turbocharged V6 (hand-built by one guy in Affalterbach) produces 362 horsepower and 384 pound-feet of torque. 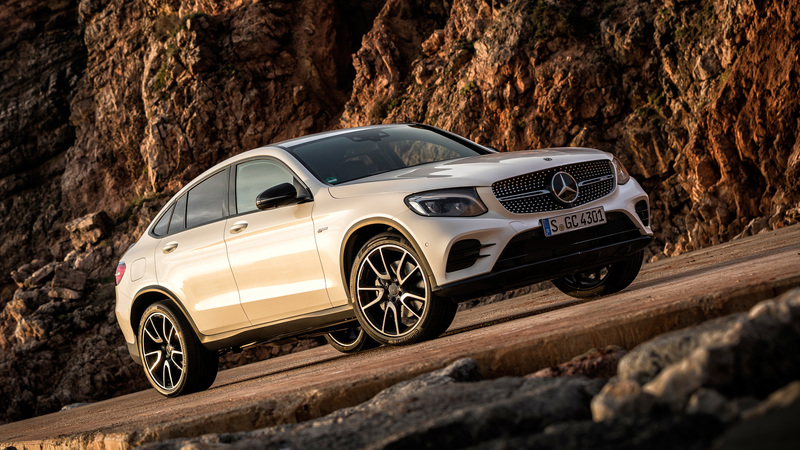 I don't think it'll make you giggle like an AMG V8 will – it's not quite as torque-rich or boisterous for that – but the engine represents a clear performance upgrade over an impressive turbocharged four-cylinder in the GLC300. Mercedes says the 43 will hit 60 mph in 4.8 seconds, which compares with the GLC300's estimate of 6.4 seconds (just for some perspective as 0-60 times are otherwise a bit silly). 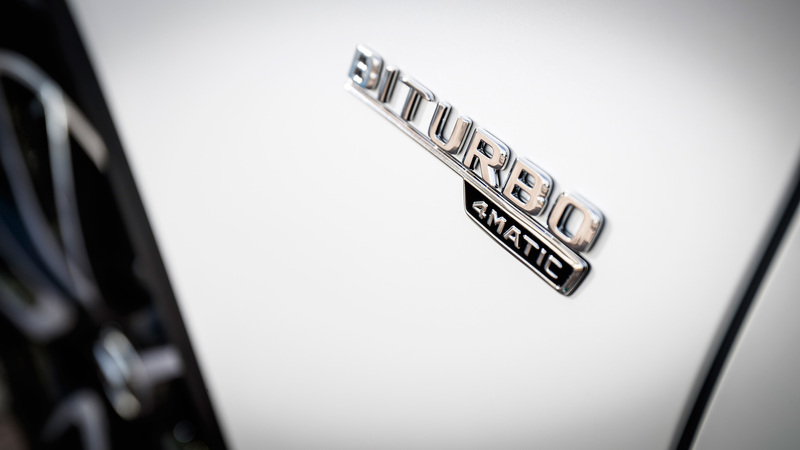 There are five drive modes: Eco, Comfort, Sport, Sport Plus, and Individual. 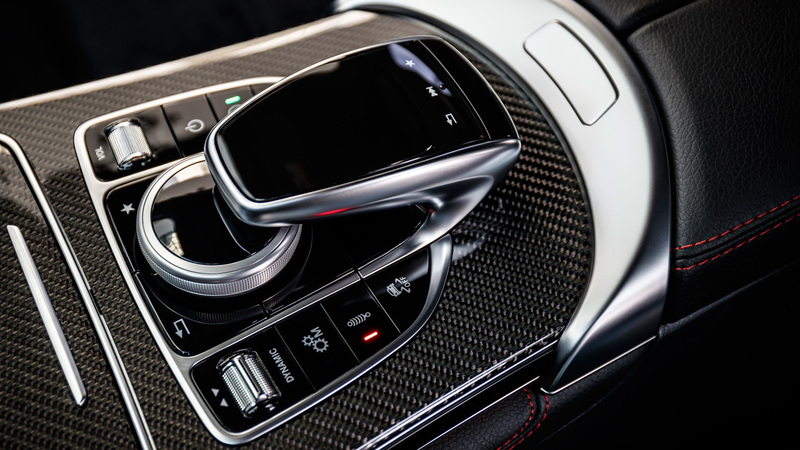 Within those, there are only two steering modes (Comfort and Sport) and three suspension modes (Comfort, Sport, and Sport Plus). 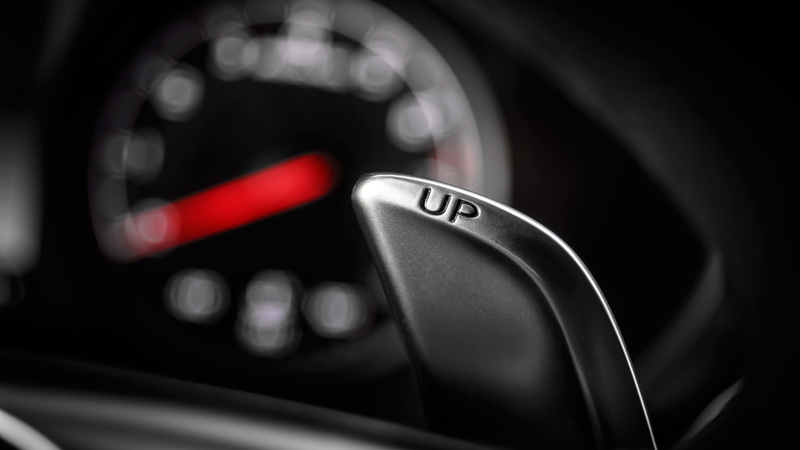 Throttle and transmission are altered in every mode. As it usually does, Sport Plus impresses. The throttle response is invigorating, providing a just-right interaction between your foot and the V6. Reaction is immediate yet not hyper sensitive. 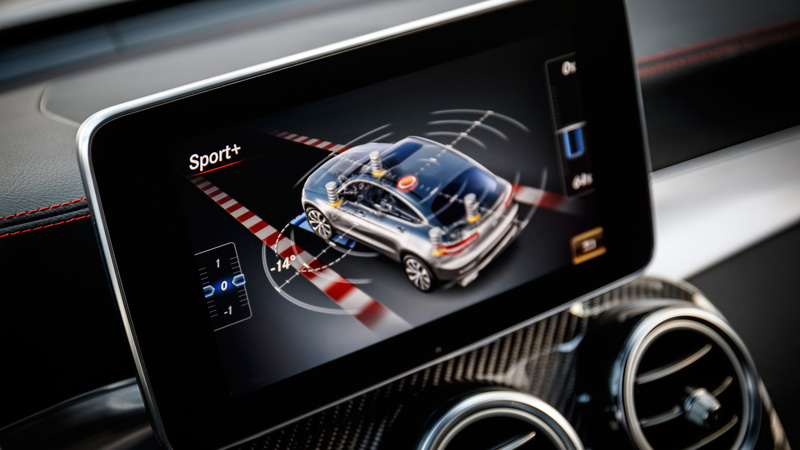 The nine-speed automatic, which uses software changes to reduce shift times in the AMG model, does such an excellent job of anticipating the need for and number of downshifts that I never once reached out for the wheel-mounted shift paddles. Really, the same could be said for the AMG GT R, so it's nice to see consistent characteristics across the broad range of a brand. Once up in the mountains, it's easy to forget that the GLC43 is an SUV. 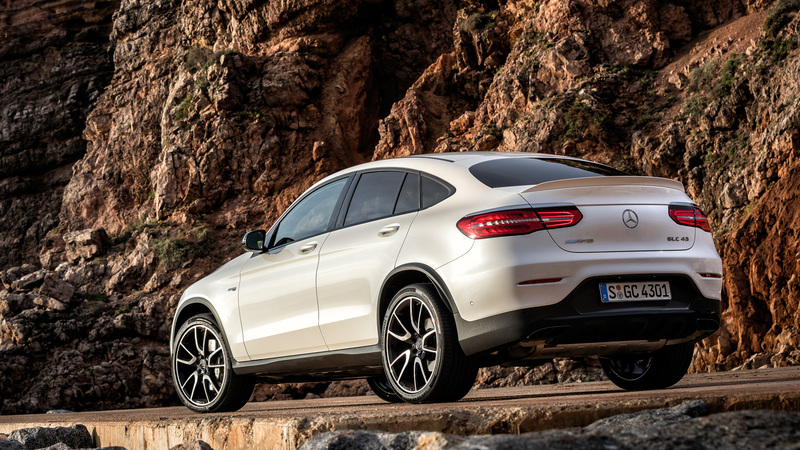 Despite some tighter, more technical stretches, the GLC Coupe really doesn't feel that big, tall, or heavy. Certainly some credit should go to the Air Body Control's ability to keep things flat, especially in Sport Plus. 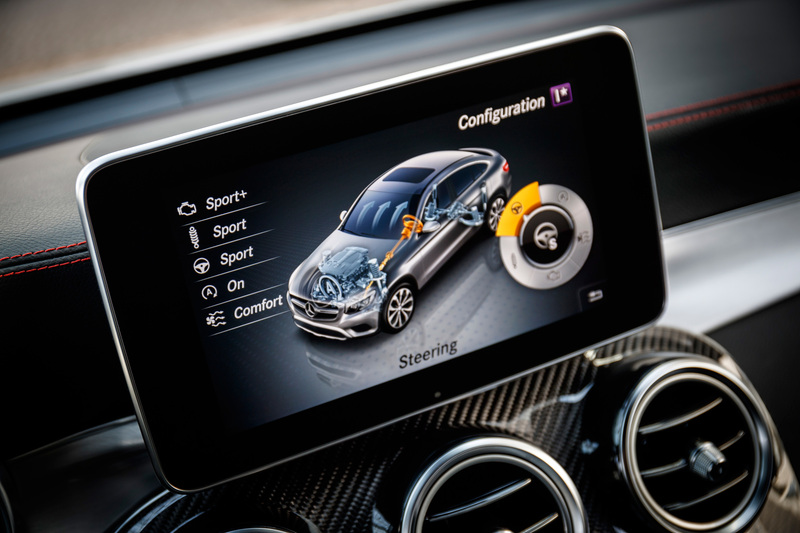 The difference in steering settings isn't that great, as both err on the lighter side (no complaints there) yet are appropriately responsive and contribute to the GLC43's high level of driver involvement. It's around now that I should lament that Mercedes doesn't sell the C43 wagon in the States, since that would assuredly be the better vehicle to drive (and be more practical than this Coupe). 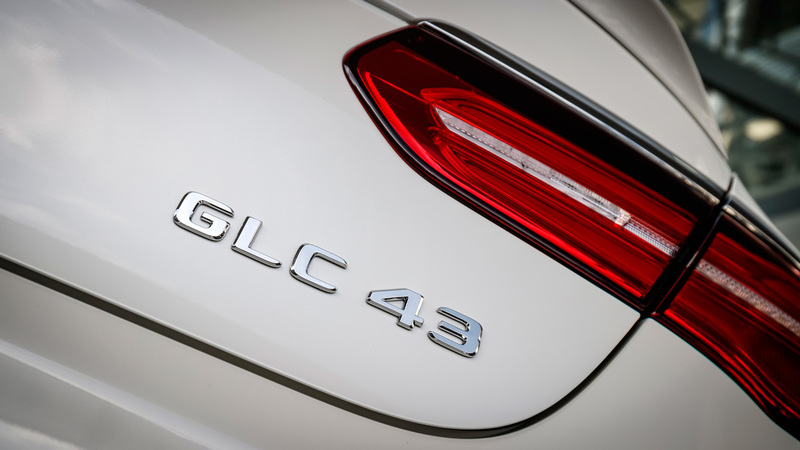 As it is, though, we're stuck with the GLC43 and in all honesty, it's pretty darn good. 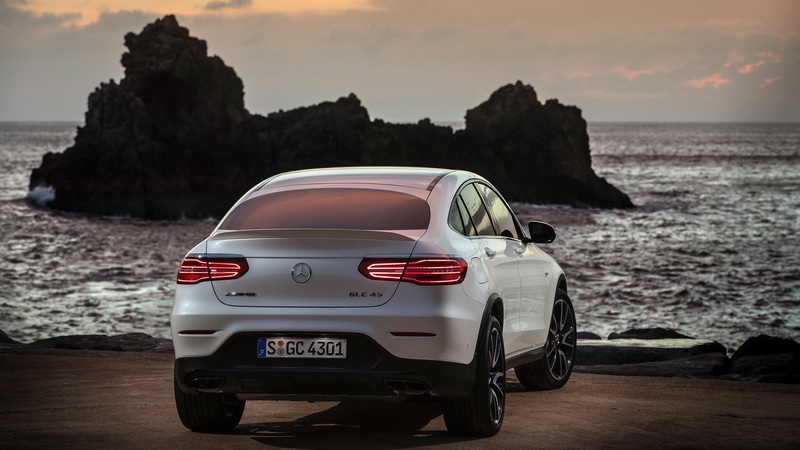 Up to this point, everything noted about the AMG GLC43 applies to both the Coupe and the regular-roofed version. 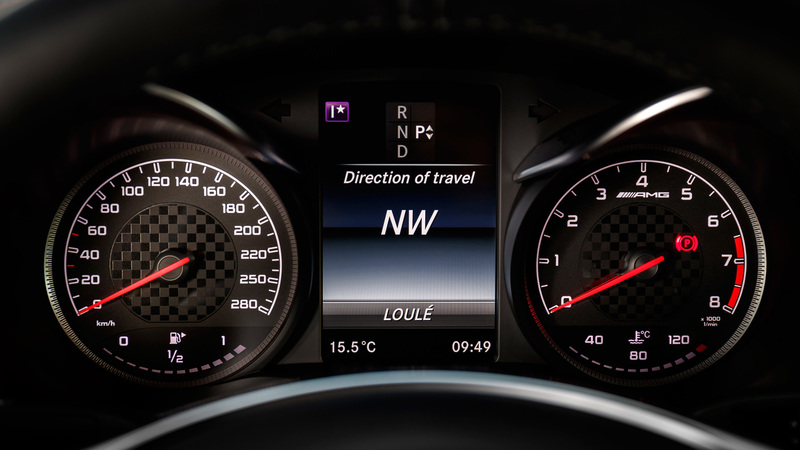 Much like their respective GLC300 counterparts, they are essentially dynamic equals. Functionally, they differ, but not as much as you might expect. Ingress height plus shoulder-, elbow-, and legroom are all identical. Of course, rear headroom is reduced in the Coupe due to the sloped roofline, but at 6-foot-3 I was surprisingly still able to sit upright back there. 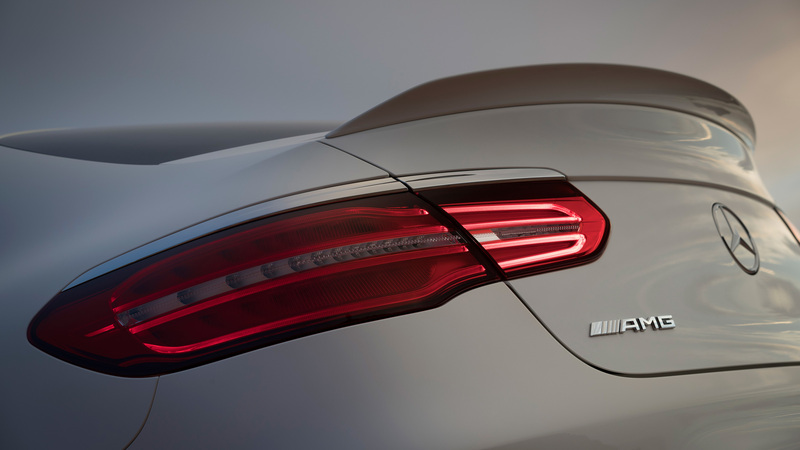 Better still, Mercedes didn't lower the back seat to make that possible as BMW did with the compromised X4. 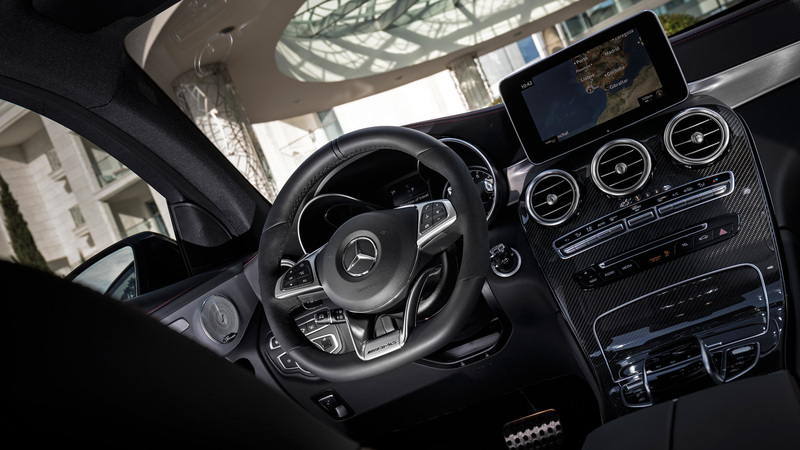 As a result, the GLC Coupe's back seat is a far more comfortable place to spend time, and most occupants are unlikely to care about the difference between GLC Coupe and GLC, uh, sedan? The cargo area is also quite obviously diminished in the Coupe. 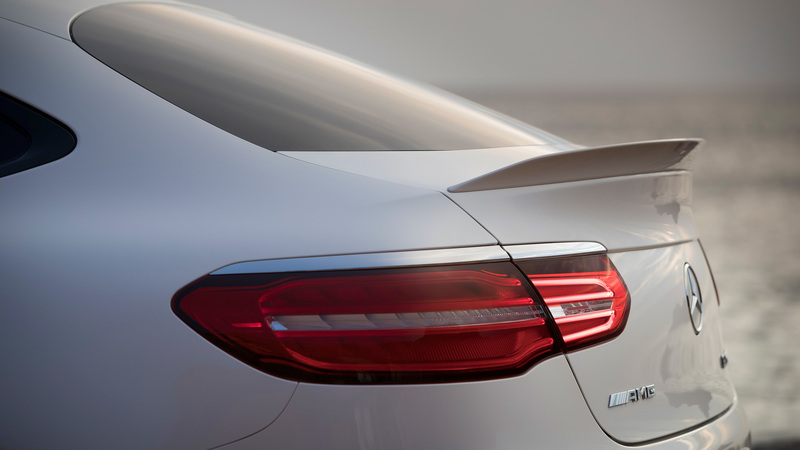 By chopping off the boxy top bit, the GLC Coupe loses the versatility you'd get with a squared-off roofline. On paper, however, the difference isn't that great. The Coupe has 17.3 cubic feet of space with the seats raised (effectively a very large trunk) versus the regular GLC's 19.4. 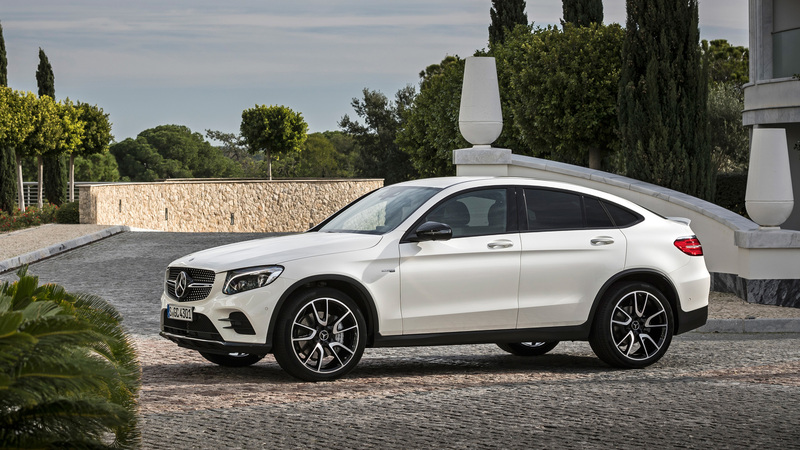 Lowering the seats creates a maximum space of 49.4 cubic feet, which is smaller than any conventional-roofed compact SUV, but again, not that much different than the regular GLC's 56.5 cubes, which is among the segment's smallest figures. 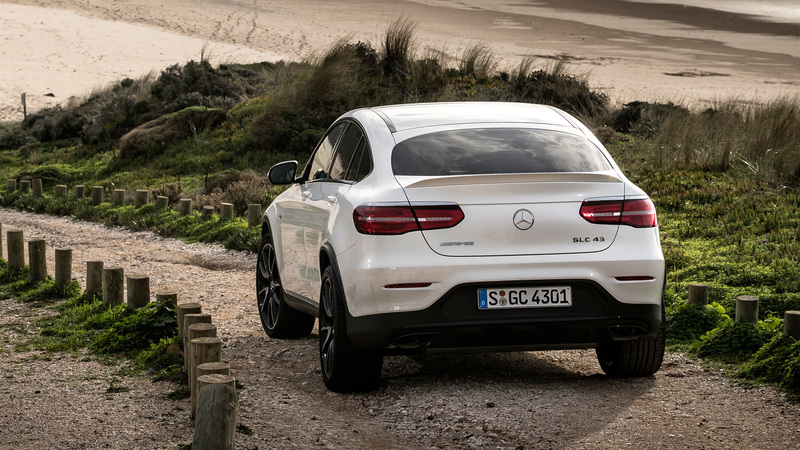 Keeping those differences in mind, let's compare the GLC43 Coupe with the bigger, heavier GLE43 Coupe. That has considerably bigger cargo differences compared to its conventional sibling – 23.0 versus 38.2 cubic feet seats up, and 60.7 versus 80.3 with them down. 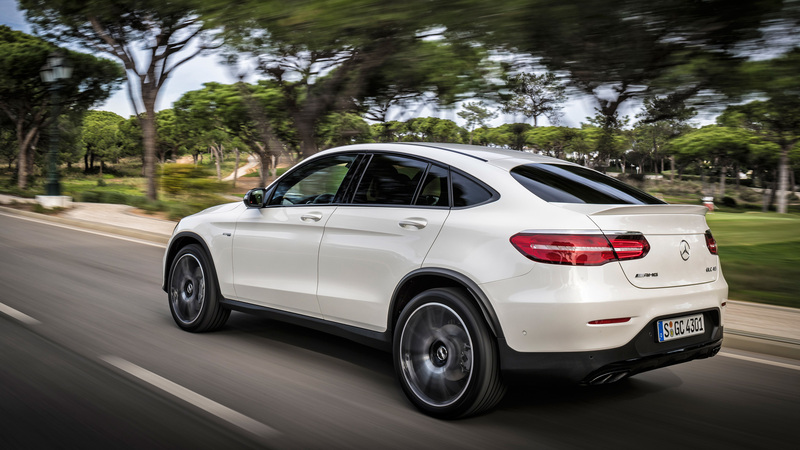 As such, and given that the GLC43 should be just as luxurious, nearly as spacious, far quicker, and more maneuverable, I'd have a really hard time making a case for the GLE Coupe over the GLC. Mercedes has yet to announce AMG GLC43 pricing, but it will almost certainly be the priciest GLC yet. 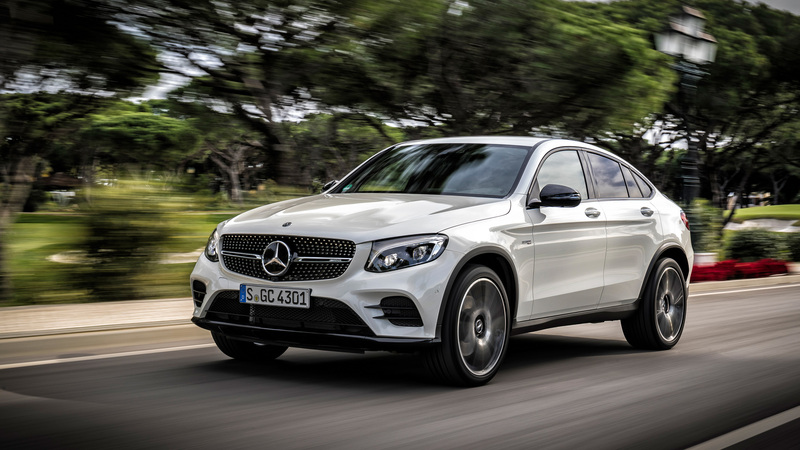 When you consider the price premiums beyond the cost of a normal GLC300 when opting for the Coupe ($4,800) and AMG GLC43 ($13,750), a base price of around $60,000 is likely for the fast fastback model. 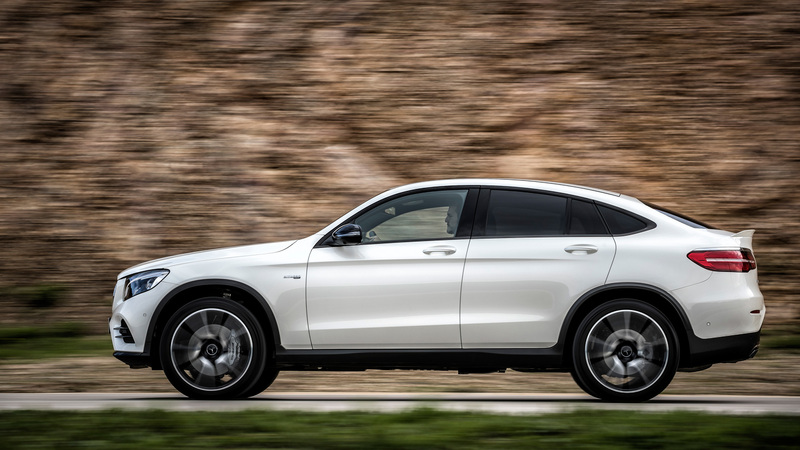 So, the AMG GLC43 is a pretty compelling high-performance SUV. 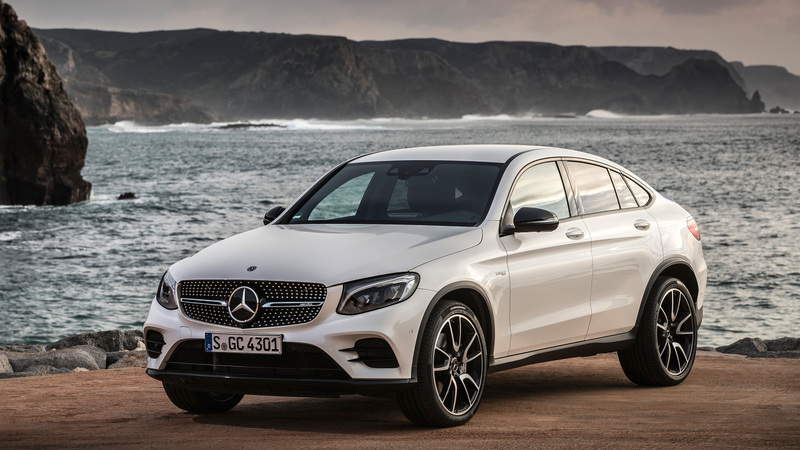 I'm not entirely convinced that the Coupe version looks better than the regular one – especially when the latter is done up as an AMG – but if you want to be bold and make a stand, you can put your mind at ease that it's not as compromised as other SUV "coupes." Damn it, and here I'd made it this whole time without quoting "In the Navy."